Farmington, NM – The Farmington Police Department is pleased to announce the promotion of Captain Daryl Noon to deputy chief. Noon has been with FPD for 22 years. He was hired in 1995 as a booking officer in the jail and began working as a police officer in 1996. During his career, he served in various positions before promoting to sergeant in 2004. In 2009, Noon was promoted to lieutenant and served in Training, Patrol, Investigations and Internal Affairs. He was promoted to captain in April 2016. 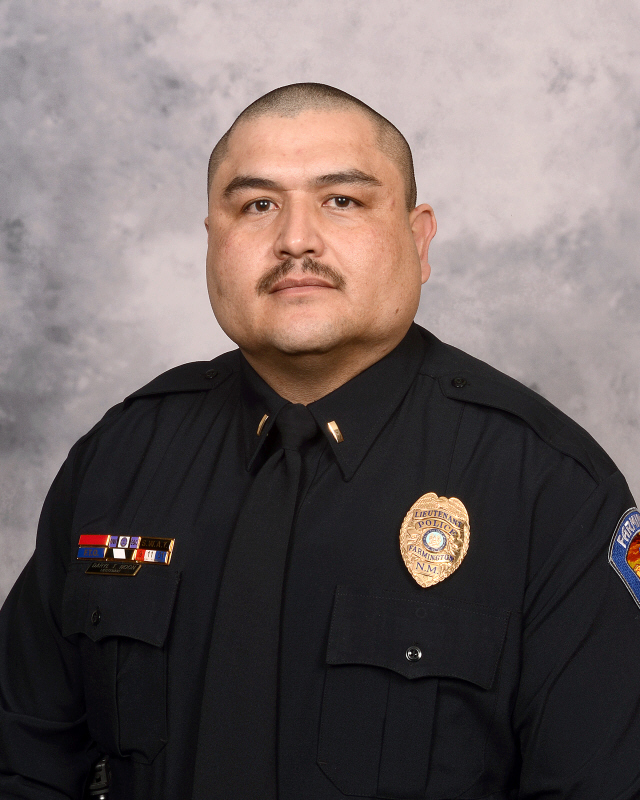 Deputy Chief Noon graduated from Shiprock High School in 1990. He attended the Northwestern School of Police Staff and Command in 2008, the Northwestern University Executive Management Program in 2012 and the FBI Law Enforcement Executive Development Association’s Executive Leadership Institute in 2015. Noon graduated from San Juan College in 2016 with an associate degree and is currently enrolled at the American Military University where he is pursuing a bachelor’s degree in criminal justice with an emphasis in organizational law enforcement leadership. “This is a tremendous honor! I am proud of the Farmington Police Department and of our community. I look forward to building on the positive relationships we have developed with our partners throughout not only the city, but also the region,” said Deputy Chief Noon.